My identifications always leave me in doubt but this time I feel my ID is spot on. 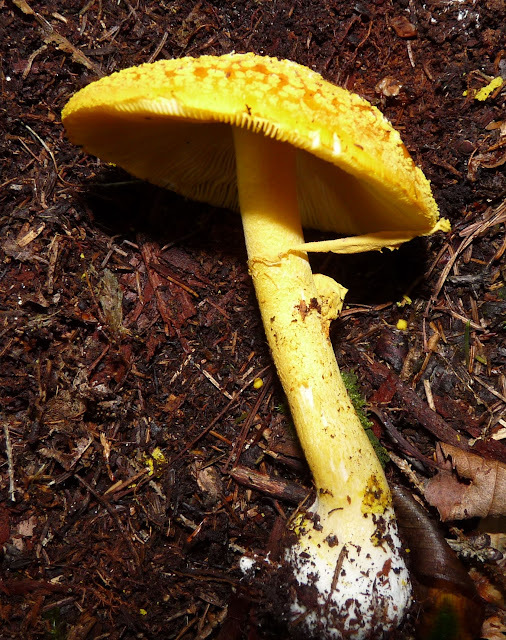 Yellow Patches have some distinctive features that unveils it’s identity. 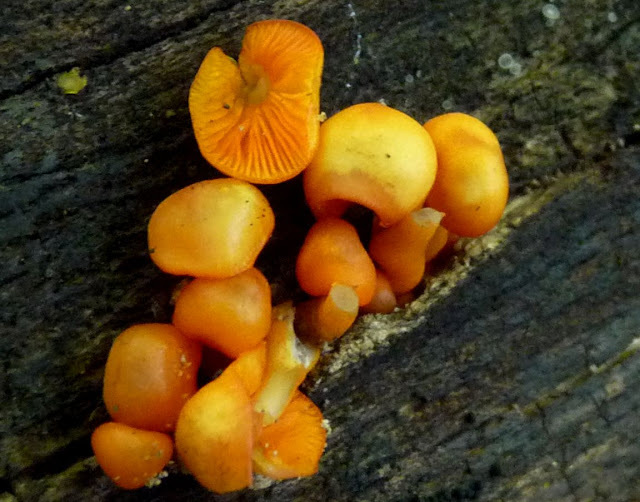 Veil fragments form yellow patches on the smooth orange-yellow cap. 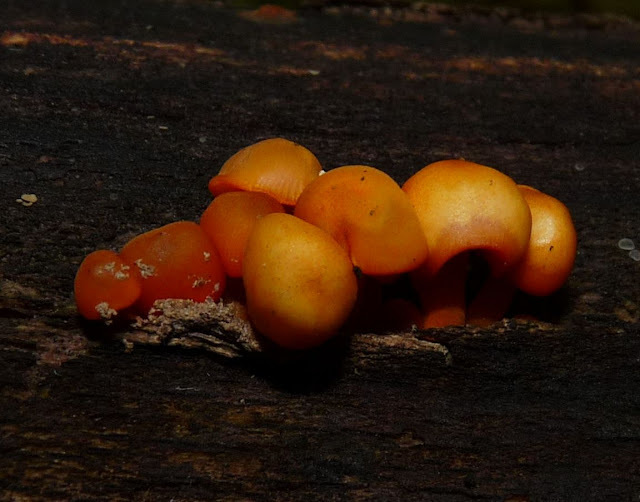 The effect is visually striking making this mushroom as cute as a button. On older specimens the patches may be worn off. This one was still fresh and while I hated to pull it up I wanted to check for another identifying characteristic of the veil. Look for pieces of the universal veil attached to the base. Not the best photo but you’ll see some blurry looking yellow fragments. A few remnants of the veil lay scattered around. 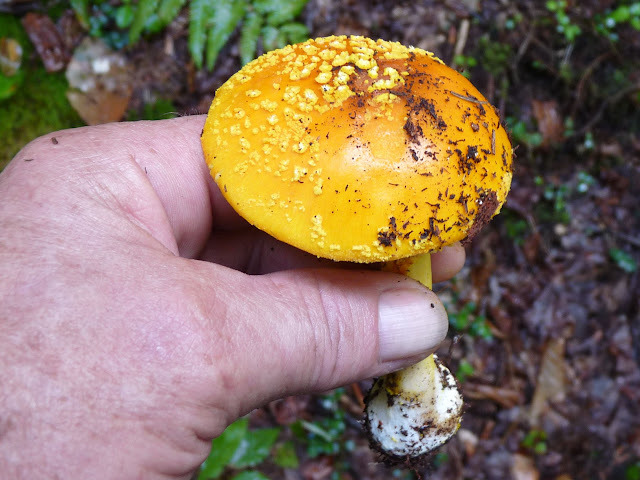 Other identifying features are the yellow stem and small basal bulb. Yellow Patches is a look but don’t eat mushroom. Gut wrenching gastronomical distress, dizziness and vomiting would be putting the potential symptoms mildly. It may not kill you but after ingesting one you might wish it would do it quickly.